house of the year 2013 | owl's house london. I attended WAN House of the Year award night in London late last week. 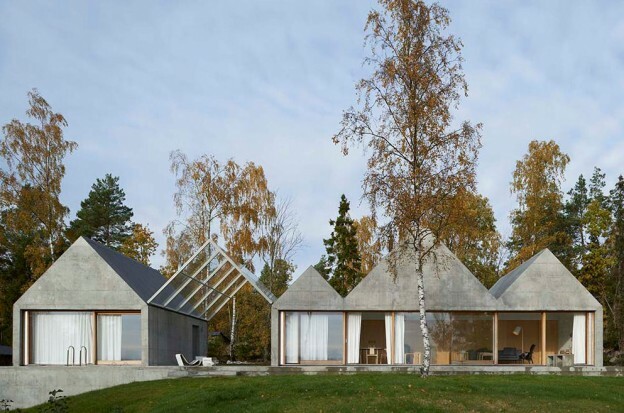 It went to this house, a summer house on an island in the Stockholm archipelago by Swedish studio Tham & Videgård Arkitekter. 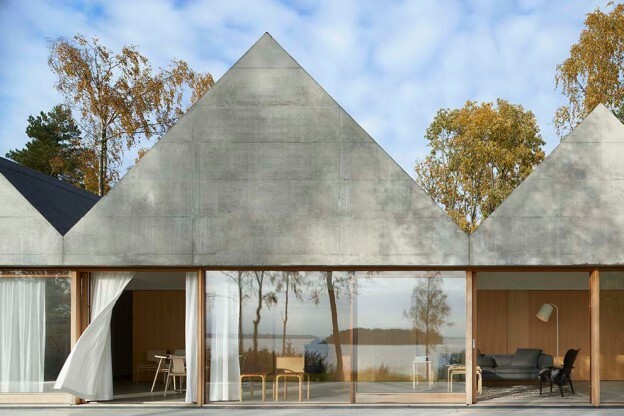 The most striking thing about the house is its simple, dynamic form: a row of zig-zagging, raw concrete gables that stretch across the site like a line of boathouses. 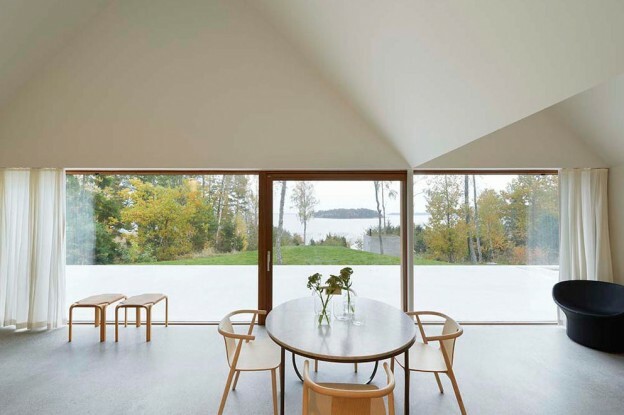 Rather than the usual vernacular of a timber dwelling drawing on the forest for its context, the building takes its inspiration from the granite bedrock found on the island. One of the gables forms a glass canopy roofing the terrace, that also splits the building into two separate volumes. This provides a vista through the building to the seafront from the forest beyond and vice versa, as well as acting as the entrance. Three of the gables house the living and dining rooms; pale ash doors doors slide open to reveal the bedrooms behind. Along with the facade, the terrace and interior floors are made of exposed concrete. The raw concrete has been cast in-situ against plywood boards, giving a subtle grain and wonderfully worn quality to the surface. The interior is simply painted white, window frames and joinery are ash. This entry was posted in happenings., wonderful spaces. 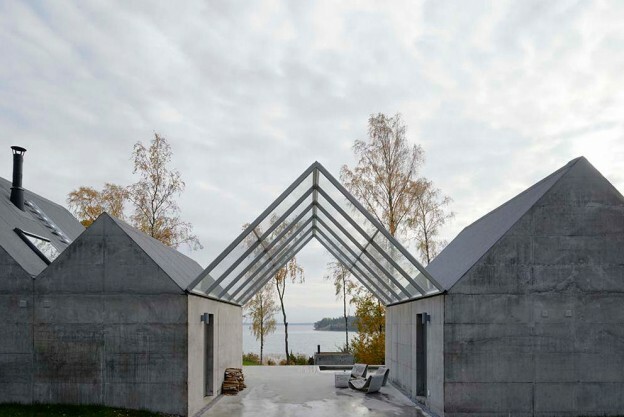 and tagged architecture, design, Scandinavian design, Tham & Videgård Arkitekter, WAN, World Architecture News on October 29, 2013 by owls house london..
loved it! It is a great project, full of detail. glad you like! i think it’s deceptively simple and very clever. i love that it references its surroundings, but not in an obvious way. the gable forms are delightful, too. Ooh, I love the simplicity. I aspire to live like this with an abundance of light and varying textures. Sigh!